Avner Dorman writes music of intricate craftsmanship and rigorous technique, expressed with a soulful and singular voice. A native of Israel now living in the United States, Dorman draws on a variety of cultural and historical influences in composing, resulting in music that affects an emotional impact while exploring new territories. His works utilize an exciting and complex rhythmic vocabulary, as well as unique timbres and colors in orchestral, chamber, and solo settings. The world's finest orchestras, conductors, and soloists regularly perform Dorman's music, and many of his compositions have become contemporary staples in the repertoire. Dorman's music is championed by conductors including Zubin Mehta, Ricardo Chailly, and Andris Nelsons, and by soloists Gil Shaham, Martin Grubinger, and Hilary Hahn. Dorman's first opera, Wahnfried, which garnered intense media interest and was hailed as a "masterpiece" by Opernwelt, returns to Karlsruhe in the 2017-2018 season for a second run as part of the Badisches Staatsoper staging of Wagner's complete ring cycle. The work - which depicts the relationships between the failing English scientist Houston Stewart Chamberlain, the Wagner family and the young Adolf Hitler - has culminated in a decisive round of "bravos" from the critics. Dorman is currently working on a new, innovative opera project for Houston Grand Opera, which will make its debut in the spring of 2018. A new suite, for Solo Violin, commissioned by the ARD competition in Munich as a compulsory work, will be premiered there this fall. Four Marimbas, commissioned by Jianli Percussion, will receive its world premiere in Spain, and Dancing with the Torah at Mount Meron premieres in Poland, performed by Zofo piano duo. Other highlights of the 17-18 season include multiple performances of Nigunim, featuring violinist Gil Shaham, Mandolin Concerto featuring Avi Avital and Kremarata Baltica, Jerusalem Mix, featuring Ensemble 4.1, and Variations on a Simple Theme, featuring the Myriad Trio. Dorman's popular percussion concertos, Frozen in Time and Spices, Perfumes, Toxins!, will also be played by a variety of soloists and orchestras around Europe. Other highlights from recent seasons include: the world premieres of Piano Sonata No. 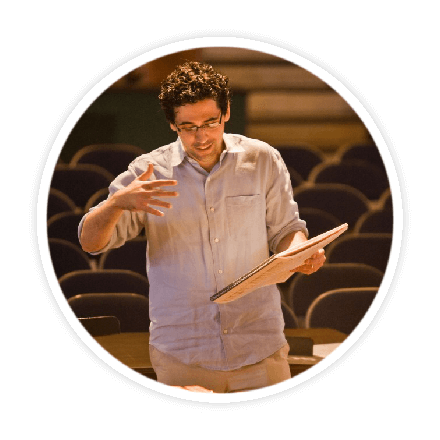 5, written for the Arthur Rubinstein Piano Competition, Siklon, premiered by the Cleveland Orchestra, and After Brahms, which premiered in 2016 and has already received a dozen performances, including a run with the Sydney Symphony conducted by Asher Fisch. In the fall of 2017, Dorman begins his fifth year as music director of CityMusic Cleveland Chamber Orchestra, with five performances of John Corigliano's Red Violin Concerto with acclaimed violinist Tessa Lark. The program also includes Schumann's Symphony No. 3 and Genoveva Overture. Later in the season he will lead CityMusic Cleveland in a concert dedicated to Muslim and Jewish composers and to the striking stories of the Sarajevo Haggadah and the Timbuktu library. The season closes with an all-Beethoven program. Dorman's music has garnered numerous awards and prizes. At the age of 25, he became the youngest composer to win Israel's prestigious Prime Minister's Award for his Ellef Symphony. He has earned several international awards from ASCAP, ACUM, and the Asian Composers League. His music is available on Naxos, Deutsche Grammophone, Canary Classics, and other labels. He holds a doctorate in composition from the Juilliard School and serves as Associate Professor of Music Theory and Composition at the Sunderman Conservatory of Music at Gettysburg College. Avner Dormans music is published exclusively by G. Schirmer, Inc.